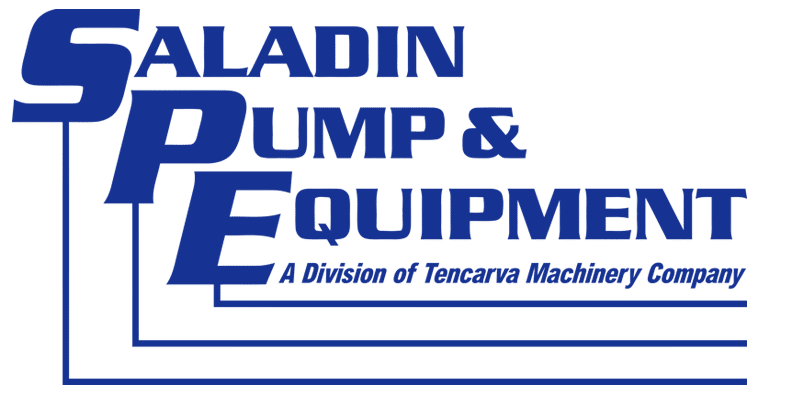 Saladin Pump, a division of Tencarva Machinery Company, has something to offer for just about any pumping application. See the Products page for a list of manufacturers that we represent. We stock over $650,000 in inventory in Beaumont, Texas with 24-hour availability just a phone call (or e-mail) away. Our staff has over 225 years of combined pump experience. Founded in 1985 by John Saladin Sr., Saladin Pump & Equipment is an industrial pump distributor based in Beaumont, TX, with a satellite office in Lake Charles, LA. The company serves the southeast Texas and southwest Louisiana markets, catering to industrial plants. Saladin Pump is a long-time Goulds distributor and, in addition to the ITT companies, it represents Xylem, John Crane, Warren-Rupp, Roper, Liquiflo and Prominent, as well as many other manufacturers. Tencarva is an industrial distributor specializing in pumps, liquid process and custom-designed systems for the industrial and municipal marketplace. The core territory for Saladin Pump & Equipment includes the following five counties in Texas: Hardin, Jasper, Jefferson, Newton and Orange; and the following five parishes in Louisiana: Allen, Beauregard, Calcasieu, Cameron and Jefferson Davis. The Saladin Pump & Equipment facility includes a shop for repair of pumps and other rotating equipment.